Real time agriculture education on your mobile. Anytime, anywhere. 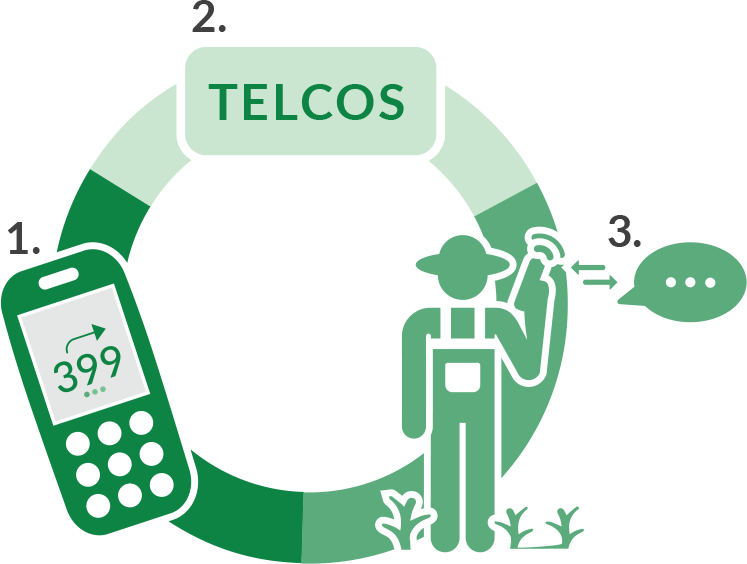 We partner with mobile networks and agricultural organizations to distribute our content to farmers across Africa. Access and pay for weather forecasts, market prices and GAPs on your mobile. All contents delivered via voice in local languages. Customized information to your location and stage of production.